Regulation in May 2018 we are updating our policies to inform you what we are going to do with your information. Adams Company Lakes Ltd (The Oaks Country Estate) is committed to ensuring we comply with the GDPR and we will ensure data is not retained for any longer than necessary to protect our customers and potential customers. What data does Adams Company Lakes Ltd collect? House Keeping Deposits – we will ask for your Bank account number, Sort code, Full name and title to return the deposit to. If you email or call us regarding bed changes for your stay at the property, this information will be recorded. If you email or call with other queries before your stay then the information required will be recorded. With us using Sykes as our booking agent, we might receive some of the above information directly from them but they are responsible for informing you about their use of data. This data is collected at the time of confirming the booking either via email to jo@theoakscountryestate.co.uk on the Sykes Website or on the phone with Sykes. Bookings cannot be made through our website www.theoakscountryestate.co.uk at this time but we do take enquiries through the website which are responded to by email. When a booking is made through Sykes Cottages we receive and email, a text message and the details can be seen on the Owner Portal, which is secure with a unique log in. For payments, we make the request via email or telephone and give the details needed to make the payment Via BACs. For house keeping deposits the same process is followed. Bookings with Sykes, please refer to there website and policies. Holiday experience –you (the guests) can write in the guest book if you wish and send emails. Sykes will send out an electronic survey to gain feedback. Communication – the data regarding bed changes is collected by email or on the phone and we record the request in the office diary. No names or guest details are recorded in this diary. We reply to all email queries but only necessary information is recorded. We collect this data so that we can manage your booking, understand how we can improve our services, communicating with you to respond to your email queries, process payments and return lost property after your stay. We do not share any your data or sell it to any outside individuals. If we have to post any lost property, then your full name and delivery address is shared with the delivery company or Post Office Ltd so that we can get it delivered to you. We do not currently do any marketing directly to current or past guests that have stayed with us. Sykes Cottages and Cumbria Tourism do our marketing and they will only contact you if you have given permission but please refer to there Privacy Policies. We require your permission to send any marketing or promotional materials including emails, letters or leaflets. If our marketing strategy was to change in the future, then we would contact you in the appropriate form to gain permission. You have the right to opt out of any marketing or promotional materials. There is no need to currently ‘Opt out’ with Adams Company Lakes Ltd as we do not send any of the above. The information collected during the booking process is stored via email and booking confirmations that are sent out electronically are stored in a company dropbox file. All email communication is deleted after your (the Guests) stay, unless necessary or if you have requested us to contact you in the future. iPhone 6 – Password and finger print recognition. We employ security measures to ensure that all data is stored securely. We use MSecure to store any passwords needed for accounts and these are changed periodically. We do not print any documents with your information present, unless you have requested a booking confirmation by post, in which case the postal address would be the only information shared. You can request at any time a copy of the data that we have on file for you. We are legally obliged to provide this to you free of charge within a month of the request. 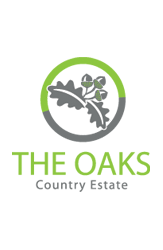 If you want us to delete all information we have on file for you then please email jo@theoakscountryestate.co.uk to make your request. Once all data is deleted we will contact you in the agreed method to confirm that it has been done.